Record Skype Mac for Free No Time Limits! Record Skype Mac Free Download. Capture Video & Audio to MP4, MOV & M4A for Free with absolutely no time limits. 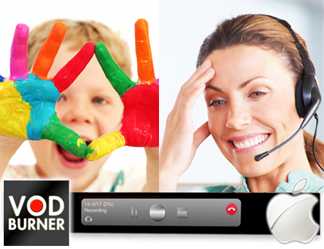 VodBurner for Mac is easy to use and you don’t even need to have Skype installed on your Mac. Skype it built-in to our app. You login with your Skype username and password and we take care of the rest. VodBurner for Mac is for OSX Lion & Mountain Lion. (Note: Mavericks (OSX 10.9) is NOT currently supported – we are attempting to resolve this in conjunction with Skype). Enter your name & email. Then check your email for your download link. Are you interested in recording Skype video calls on Mac for free? This is the product for you! VodBurner for Mac offers a “What you see is what you get” recording panel. Completely free – record with no time restrictions or limitations. Record Skype Mac audio only calls. 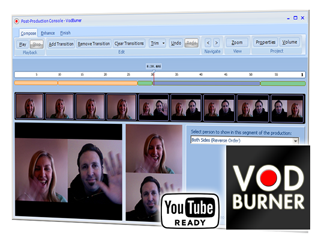 Record video + audio or audio only to MOV, MP4, M4A and other formats. Lots of flexibility – capture both sides, other side only or this side only. Free – for a limited time! For a limited time, VodBurner for Mac is totally free. Get started recording Skype video on Mac for free today.